Disassembly of piston calipers brakes Sram Level Ultimate TLM has never been easier. This tool is specially designed to uninstall the pistons without the risk of damage to the caliper. Remove the hose : Use a Torx T25 wrench to remove the hollow bolt and the hydrolic hose. Remove the pads and spring. Put the tool Sram uninstall pistons instead of pads from the top of the bracket. Clearly push the gun pneumatic blower * into the hole for hollow bolt. firmly hold the stirrup, and input air. 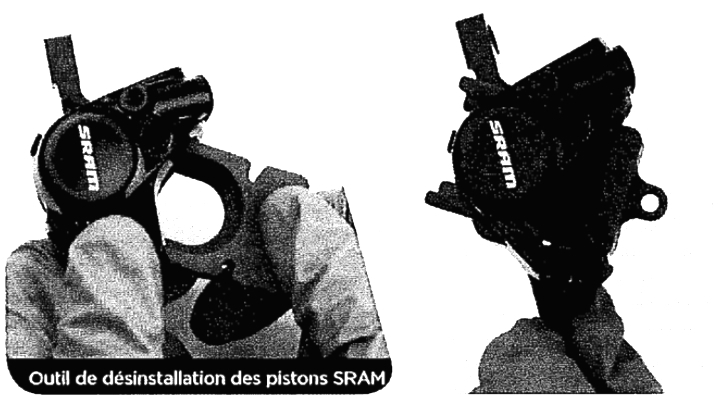 Remove the wafer holding bolt , remove the Sram tool. Place shim to piston LEVEL to the location of the plunger removed. Repeat steps 1; 2; 3; 4; 5; 6 for the remaining piston. 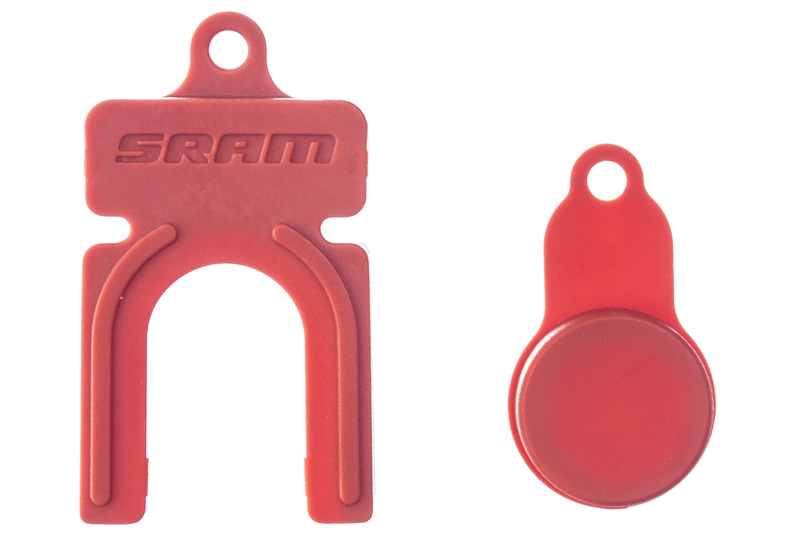 Remove the Sram tool and the hold. * The air blower gun is not included.